Global Business Intelligence (BI) and Analytics vendor, Yellowfin, has been named in Database Trends and Applications (DBTA) Magazine’s inaugural top 100 list. 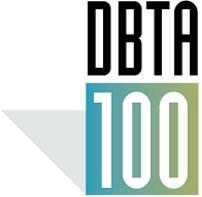 The DBTA 100: Companies That Matter Most in Data is – as its name suggests – a list of the world’s most important and influential organizations in data and enterprise information management. “This list seeks to highlight those companies that have been successful in establishing their companies as unique resources for data professionals,” commented DBTA Group Publisher, Thomas Hogan. Database Trends and Applications (DBTA), published by Information Today, Inc., is a quarterly magazine, delivering advanced trends analysis and case studies in information management, developed by a team with 25 years of market coverage experience. Visit DBTA.com for subscription information. DBTA also delivers groundbreaking research, of unparalleled depth and foresight, exclusively through its Unisphere Research group.